The consensus among legal experts in the aftermath of the latest ruling to go against New Jersey in its landmark sports betting case is that the language in the Third Circuit Court of Appeals’s opinion is soft and leaves plenty of room for further debate. Potentially in front of the Supreme Court. On Tuesday, two of three Third Circuit judges upheld a May ruling from US District Judge Michael Shipp that prevented New Jersey from bringing Las Vegas-style sports betting to its racetracks and casinos. But it was the dissent of the third judge on the Third Circuit panel—in addition to the soft language—that had New Jersey officials confident and ready to continue the fight. Throughout the 128-page decision, the court acknowledged strong arguments from the New Jersey side, but ultimately ruled in favor of the sports leagues suing to prevent Gov. Chris Christie’s efforts. There are indications that the court didn’t fully buy into the wisdom behind the Professional and Amateur Sports Protection Act (PASPA), a 20-year-old federal statute that prohibits sports betting in all but four states and is at the heart of the legal case. If baseball is a game of inches, constitutional adjudication may be described as a matter of degrees. The questions we have addressed are in many ways sui generis. Neither the standing nor the merits issues we have tackled permit an easy solution by resorting to a controlling case that provides a definitive “Eureka!” moment. Tassos Kaburakis, a Saint Louis University professor who has written extensively on PASPA-related issues, has followed the case closely. Among the biggest takeaways, he said, is that the decision was much closer than many thought it would be. 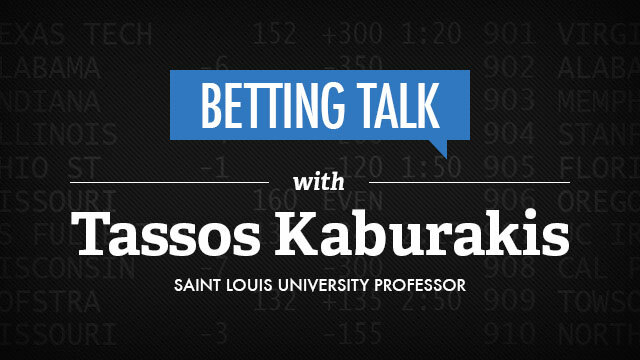 Kaburakis visited with Betting Talk this week to discuss the ruling and what’s next in a case that will shape the future of sports betting in the US. Is it unusual to have this type of soft language in a ruling of this magnitude? When it’s as close as this case appears to be, you tend to see that type of language. But if it wasn’t as close, you would have seen much stronger language. Even some of the areas where the language tends to be a little stronger, it’s just not very convincing. In key parts, they are using common-sense language. What stood out to you in the ruling? There is a lot. For example, ‘The reputational harm that results from increasingly associating the leagues’ games with gambling is fairly intuitive.’ That analysis of the leagues’s standing, injury in fact, and reputational harm, where they’re trying to actually make stronger points, doesn’t come off as very convincing. It’s a little problematic in those areas. The leagues have relationships with the gambling industry, but also say that the gambling industry is one that puts a stigma on their product. You have casino sponsorships, sports-team branded lottery scratch cards, conference (tournament) games in Las Vegas and so many more business relationships between the gambling industry operators and sports governance actors. Their association with lotteries is a direct benefit. That’s not for free that the leagues are doing that. It’s a way to associate yourself with the gambling industry and to get something out of it. If you see, for example, Missouri lottery updates, one of the first things you notice is how the (St. Louis) Cardinals cards are doing. The Cardinals scratch cards are one of the hottest items sold here. Moreover, when the majority (Third Circuit judges) gets into the merits and applies Constitutional Law analysis on the key matters of Commerce Clause, Supremacy Clause and Commandeering, they do assume a position, which in turn gives the dissent even more value, as Judge (Thomas) Vanaskie held PASPA unconstitutional. The majority’s own conclusion is instructive and enlightening. What stood out to you in Judge Vanaskie’s dissent? Here’s an important distinction between the majority and the minority: The dissent says there is no overarching legal framework in the country that regulates sports gambling as opposed to the majority holding that PASPA is the regulatory framework. The dissent is arguing that there is no regulatory framework and all that PASPA is doing is actually disallowing regulation by the state. Therein, Judge Vanaskie holds that even though Congress has the power to regulate sports betting, that’s not what PASPA did. PASPA enlisted states in the fight against expansion of gambling on sports, essentially telling states how to (not) regulate or act. What he’s saying there is that essentially they read more into PASPA than they should have. There is no federal framework, and since there is no federal framework, their analysis is kind of flawed there. He says that if a law gives the options of either a) having totally unregulated betting, which is in essence the logical outcome of PASPA as an extension of the majority’s opinion, holding that states are not asked to do something, rather just not regulate, which obviously was not what PASPA and Congress intended; or b) prohibiting all such gambling, that law is unconstitutional. Moreover, Judge Vanaskie clearly disagrees with both Judge Shipp and the majority on the key analysis on commandeering and what PASPA is actually doing for and to the states. Judge Vanaskie holds that trying to distinguish between a federal directive that commands states to take affirmative action and one that prohibits states from exercising their sovereignty is illusory and untenable. He writes: “Surely the structure of our Federalism does not turn on the phraseology used. Thus, he believes the majority should have paid more careful attention to what PASPA actually says and what it did (commandeer states by forcing them not to regulate), what it did not (establish a regulatory framework on sports gambling), rather than attempting to interpret what it intended (preempting sports gambling regulation in the broadest scope possible) and what is missing from it (an affirmative action prescription for states to actively assume a stance against gambling via legislation). This is an area where the Supreme Court might lend some valuable insight, given it is a meaningful constitutional problem to resolve. Do you believe the Supreme Court will hear this case? Pencil me in for them hearing it. There are reasons why they’d take it on: There are valid fundamental constitutional law issues with PASPA, state sovereignty, Supremacy Clause and commandeering aspects, whether or how Congress regulates sports betting as interstate commerce. There is enough Constitutional meat for them to take it. If New Jersey ultimately loses, is there any point in another state taking up the fight judicially? There’s value to another jurisdiction taking PASPA on, for sure. When you look at big markets in particular, especially ones with strong and growing immigrant elements and where prerequisites such as gaming outlets, online lotteries, and gaming revenue are increasing—states like California, Florida, New York and Illinois—one can conceivably foresee another state in the near future possibly reaching that maturation stage which New Jersey reached around the time of the referendum and adoption of the sports wagering law. The fact that even the most traditionally conservative political forces assume a more accepting stance toward gambling avenues for their states—think Joe Barton, Tea Party Republican in Texas introducing online poker bill—might yield seeds of something deeper that could be happening around the country, if not right now, possibly in the near future. Naturally, there has to be political will, grassroots and lobbying action as one observed in New Jersey, and of course courts and a federal circuit panel that will carefully analyze PASPA and possibly assume a different take than the Third Circuit.